Meniscus Lens can increase the NA of the system while only adding slightly to the total spherical aberrations. The Negative Meniscus Lens is used to increase the focal length of another lens while maintaining the angular resolution of the optical assembly. 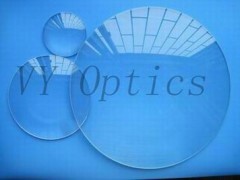 This lens shape is best used when one conjugate is relatively far from the lens.We supply optical spherical lenses,include plano-convex spherical lens,plano-concave spherical lens,bi-convex spherical lens,bi-concave spherical lens,meniscus spherical lens,special spherical lens etc..